The £6 million project has seen a major refurbishment of the building and laboratories, together with the latest industry standard equipment installed to provide an immersive learning experience. Students at Teesside University’s Orion Building are now taking advantage of the new facilities which include a flight simulation laboratory, jet engine testing room and process control facility. The three-storey glass extension to the building provides an attractive insight to the latest technologies and students also have an open access computer laboratory and a range of social learning spaces which are available. Jo Johnson MP, the Minister of State for Universities and Science, recently visited Teesside University where he was given a tour of the new Orion building and sampled the flight simulation unit. Malcolm Page, Chief Operating Officer at Teesside University, said: “This is another significant development which will enhance the student experience. We are committed to providing students with the best learning environment to enable them to flourish and the fantastic new facilities on offer here will give them a realistic insight into what it is like to work in industry. 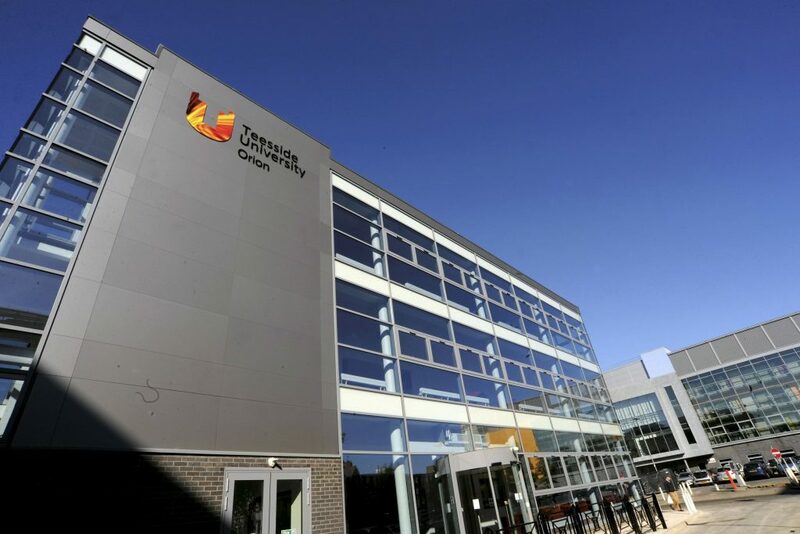 Teesside University has invested over a quarter of a billion pounds in its estate in recent years and the development of the Orion building and facilities has been part of the overall £30m Campus Heart project which has completely transformed the look and feel of the central campus. The Orion building now boasts a SCADA process control facility and distribution and separation columns for chemical processing, which can recreate the exact environment of a chemical control plant and offers students a realistic experience of working in industry. It will support students on a wide range of courses, including chemical engineering, petroleum engineering, instrumentation and control engineering, bio-technology, bio-manufacturing and chemistry. An impressive focal point of the new flight simulation laboratory is the replica aircraft which is used for physical and load testing and enables aerospace engineering students to experience realistic flights and work on aircraft design projects. The Formula Student facility provides an environment where students can design, manufacture, build and test racing cars which meet competition standards. In addition, the power system simulation laboratory replicates characteristics of major power stations and wind generation facilities operating in Teesside and allows students to learn about the most relevant current techniques and how these would be implemented within an industrial environment. Testing and characterisation facilities in the adjacent Stephenson building have also been upgraded.